One of the key objectives of the EaSI programme is to stimulate the financial and social inclusion of borrowers wishing to set-up or develop their micro-enterprises and who may have limited or no access to the conventional credit market. To this end, under the EaSI Microfinance Guarantee, the offering of non-financial support in the form of business development services (“BDS”) as a complement to the microloan disbursed to micro-borrowers and micro-enterprises, is an important requirement for selected intermediaries . 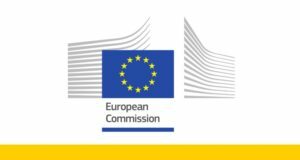 As part of the EaSI programme, the EU has launched a EUR 1 million pilot, the Business Development Services Pilot (the “BDS Pilot” or the “Pilot”), to further strengthen the provision of BDS to refugees and migrants and therefore contribute to their financial and social inclusion. The objective is to provide partial coverage for the costs incurred by intermediaries when providing such services, with the aim to boost entrepreneurship amongst these vulnerable groups that are often confronted with a challenging environment when setting up and developing a business in a different country than their country of origin (language barriers, administrative burden, lack of knowledge of local legislation, etc.). The BDS Pilot will take the form of a new feature embedded within the existing EaSI Microfinance Guarantee for which the Call was launched in June 2015 and subsequently amended on December 2018. The Pilot is addressed and restricted to interested parties that have entered already into an agreement with the EIF under the EaSI Microfinance Guarantee (“Existing Financial Intermediaries”) or that may qualify to become Financial Intermediaries (“New Applicants”) under the EaSI Microfinance Guarantee and wish to also submit an application in accordance with the parameters set out in the Call. The deadline for receiving application for the BDS Pilot is 31 December 2020. Existing Financial Intermediaries can directly express their interest in the BDS Pilot within the existing Guarantee Agreement by sending an email to EaSI@eif.org. New Applicants shall apply to the Call in accordance with the procedures set out in section 6 of the Call, specifying their interest in the Pilot. EIF will communicate the outcome of the selection to each applicant via e-mail.